"Hamilton" is one of the most talked about musicals in the country and everyone is dying to see it, even if it costs them. But for a few lucky lottery winners, tickets will only be $10. 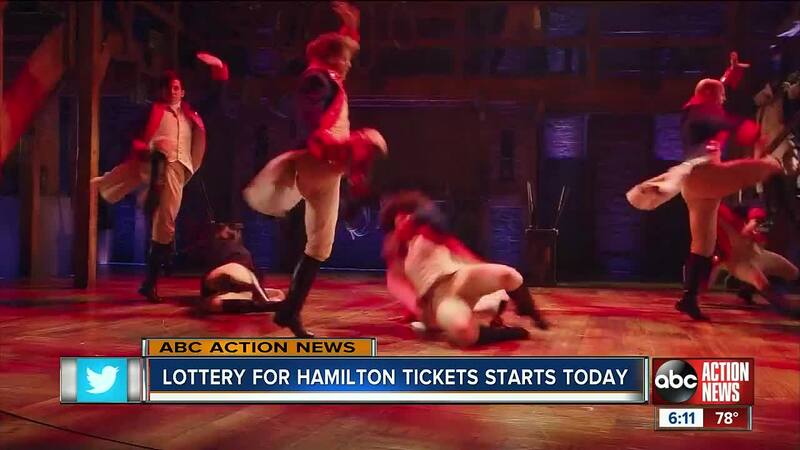 TAMPA, Fla. — "Hamilton" is one of the most talked about musicals in the country and everyone is dying to see it, even if it costs them. But for a few lucky lottery winners, tickets will only be $10. The Straz Center is working in conjunction with producer Jeffrey Seller to set aside 40 tickets for every performance to be sold for $10 each in a digital lottery. Use the official app for "Hamilton," now available for all iOS and Android devices in the Apple App Store and the Google Play Store ( http://hamiltonmusical.com/app ). 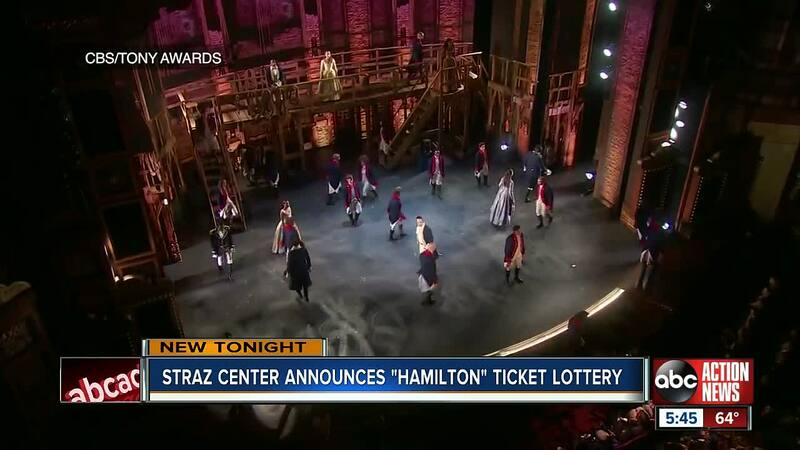 "Hamilton" will run between February 12 and March 10, 2019 at the Straz Center. The digital lottery will open at 11:00 a.m. on Sunday, Feb. 10 for tickets to the Tuesday, Feb. 12 performance. Subsequent digital lotteries will begin two days prior to each performance.